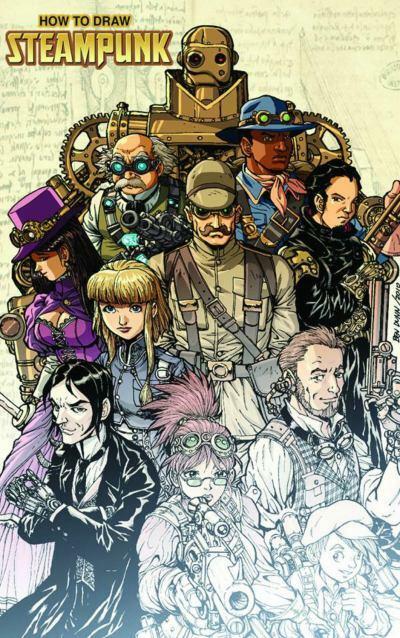 The Steampunk phenomena has transcended the quirky, alternative genre it once occupied 5 years ago, and has now arguably been accepted into mainstream popular culture, partially thanks to the growing variety of events, books, television shows and films adopting its alternative history and anachronistic themes. Check out our other Neo-Victoriana on the catalogue and if you’re interested in finding out what Steampunkery is going on around Adelaide head over to Steampunk SA on Facebook! This entry was posted in books, new resources and tagged How to draw steampunk, Steampunk by Symon. Bookmark the permalink.